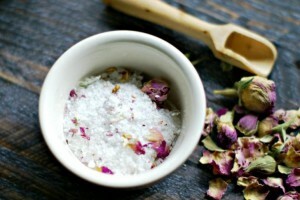 If you’re into making presents, take a look at the following ideas for some herbal themed gifts. 1. 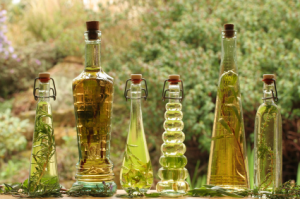 For budding cooks and chefs – herbal oils and vinegars. You can use a fancy bottle or reuse an unusual shaped one that you have around the house. Make sure that the herb you’re adding is dry, or it may start to ferment in the bottle. A great tip is to add 2 tsp of lemon juice to the oil to prevent mould growth. The old favourite sloe gin is a great present but you do need to have gathered the berries beforehand and popped them in the gin or vodka to make your herbal liqueur. Another great favourite is hawthorn brandy, and often something people won’t have tried before, made in exactly the same way as sloe gin (but without the sugar), you add hawthorn berries to brandy and leave it in there for a month or so. (Again you will have needed to collect the hawthorn berries beforehand). If you want to make a herbal liqueur but you don’t have sloes or hawthorn to hand, why not spice up some vodka with cardamom, cinnamon and ginger? Great in festive cocktails. There’s also the classic mulled wine (or cider if you’re not so keen on wine), wrap up the following spices in some muslin cloth and tie to a bottle of wine (or cider), as an instant herbal gift. 3. Why buy expensive (and often chemical filled) toiletries as gifts, when you can make a lovely natural one instead. Use one cup of sugar (preferably brown and organic) to one cup of oil (olive or coconut is good), and add in some peppermint essential oil (10-20 drops). Mix together and store in a kilner jar to give as a lovely present. Take a look at my natural cosmetic information sheet for more ideas. Lip balms are easy to make and a lovely homemade gift. Here is my festive lip balm recipe. Melt the oil, cocoa butter and beeswax together at a low heat, in a double boiler (glass bowl over a pan of water). Allow to cool slightly before adding essential oils. (If adding essential oils stir well). Carefully pour or spoon the mixture into the lip balm tubes. Because there is no water in this mixture it will last 1 – 2 years if kept well, but remember lip balms tend to re melt in hand bags several times and that will decrease the shelf life. Festive flavours Lip balms can be coloured and flavoured naturally by ingredients you have in your kitchen cupboards. Why not try adding 3g of dark chocolate with 2g of cocoa butter? (More festive versions can be found here). 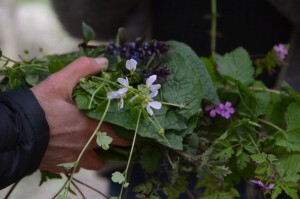 For the true herbal enthusiast, why not give them an extra special gift, one of my distance learning courses. From herbal home remedies up to a year long courses, there’s something for everyone, and I do vouchers too if you can’t decide which to get.